Global new world wine company Accolade Wines has opened its own shop in the UK and been awarded ‘World Class Manufacturer of the Year’ at the Manufacturer MX Awards. Accolade Wines’ manufacturing facility, Accolade Park, first opened its doors in 2009 and now employs over 500 people and produces some 25 million 9L cases of wine every year. It has six packaging lines and the capability of producing 1,200 bottles of wine every minute. It is also home to the largest wine warehouse and distribution centre in Europe (80,000m²). This latest award was given to Accolade Wines for the sustained achievement of world class manufacturing standards across clearly defined strategic pillars with evidence of ownership for continuous improvement from the most senior level to the shop floor. Commenting on this achievement, Richard Lloyd, general manager Accolade Park states: "To win 'World Class Manufacturer of the Year' against competition like Rolls Royce and Siemens is external recognition of the highest order and should be cherished by everyone who makes Accolade Park the special place it is." Accolade Park now produces 92% of all the wine the company sells in the UK and over half of all the company’s wine sales in Europe and is setting new standards in wine production and packaging quality. Accolade Wines CEO, Paul Schaafsma says: “This really is an incredible achievement for both Accolade Wines and the wine industry as a whole and reinforces our reputation as a market leading provider of new world premium and commercial wines. Our company has some of the world’s most highly regarded and respected wine makers in the industry today and I know they all believe in the capability of Accolade Park to ensure the wines they nurture from the vineyard to the winery reach our end consumer in first class condition. 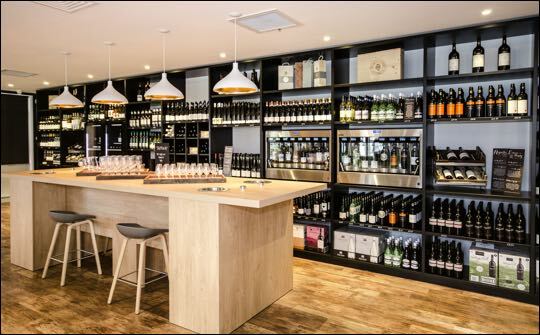 Accolade Wines has also recently opened its own wine shop, 1853 Wine Club, at its head office site in Weybridge, Surrey. The wine shop, which opened its doors on December 16, is an extension of the www.1853wineclub.com e-commerce website, Accolades digital platform that sells a selection of premium wines from its new world portfolio. The shop has two Enomatic machines, with 16 wines available for customers to sample before making purchases.